It is important to choose the right transformer for the cartridge you have. The choice depends on a combination of factors. The first step is to determine the actual impedance (resistance) of the cartridge. As a guide if this is less than 40 ohms then choose a Low impedance transformer below. If it is above 40 ohms then choose the High impedance transformer. High impedance cartridges tend to have a good output so the 12.5 ratio of type 9580 is gnerally adequate. 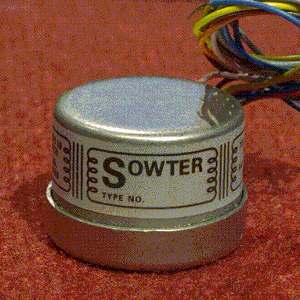 Some cartridges have a low output (<250 microvolts) and we recommend a high ratio transformer (1:20). Obviously the ratio you need also depends on the gain of the amplifier as well as the cartridge output. The information below is only a guide. The only problem with using a 1:20 transformer with a high output cartridge is that the amplifier may need to be turned down very low. 1990 is the same transformer as 9570 and 9990 but has all the connections brought out so the twin primary windings can be connected in series or parallel to set the ratio. This is offered at a small extra charge so the customer can experiment. For the ultimate listening experience 1480 can be used with any low impedance (<15 Ohms) cartridge. This transformer is intended to be used with a normal unbalanced or push-pull amplifier without a separate phase slitter. An RC (Zobel) network is not required for this transformer. In general Moving Coil cartridges work best when connected to a load impedance at least ten times the cartridge impedance. Some cartridges need to be damped to prevent high frequency resonance of the moving parts and it is a good idea to experiment with various loads to see if this improves the sound. We recommend using a resistor across the secondary of the transformer. Note that the reflected load (as seen by the cartridge) will be the load resistor times the ratio squared. A reflected load of between 5 and 20 times the cartridge impedance might be suitable. So for example if the cartridge impedance is 5 ohms and you want to try a damping load of 50 Ohms and you are using a transformer with a ratio of 1:20, the secondary resistor should be 50 x 20 squared = 20k Ohms. With a ratio of 1:10 the resistor would be 50 x 10 squared = 5k Ohms. With a 1:30 ratio and a 10 Ohm cartridge the load should be not less than 90K Ohms. The minimum load value in the table below is also a guide to setting the load but it is recommended to carry out listening tests. 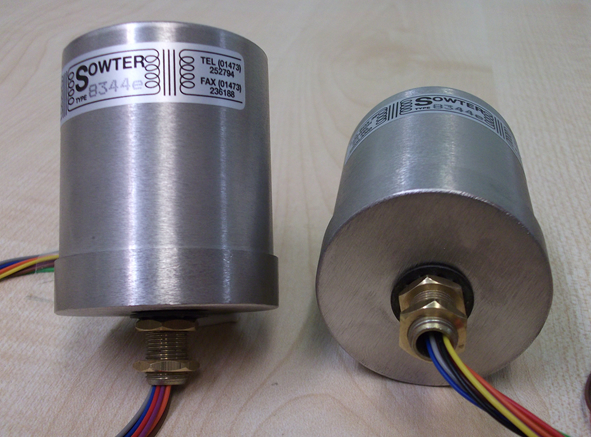 Some of our cartridge transformers are available wound with OCC wire for a small extra charge. Click here for more information on OCC wire.